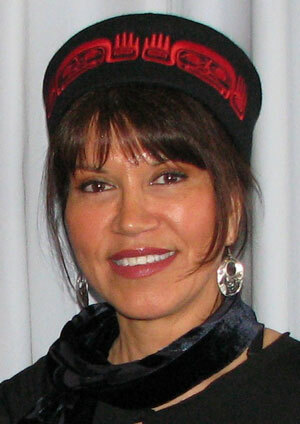 Consequently, as the second person from the Nuu-chah-nulth Nation to receive a Ph.D, Tseshaht academic Charlotte Coté describes her defence and cultural affirmation of whale hunting by the neighbouring Makah (Washington State) and Nuu-chah-nulth (Vancouver Island) peoples, Spirits of our Whaling Ancestors (UBC Press $24.95), as her way of giving back to her family and First Nations community. Coté begins by recalling the moment she heard the news that Makah Nation whalers had successfully killed a thirty-foot maa'ak (gray whale) on May 17, 1999 near Neah Bay, Washington-five years after gray whales were removed from the Endangered Species list. The whale was harpooned by Theron Parker from a traditional canoe, then it was killed with a high-caliber rifle specifically designed for the task. Shooting the whale was judged to be more humane by allowing the whale to die almost instantly. It also reduced the danger for the whaling crew who would be otherwise dragged-traditionally-for days by the mortally wounded whale. According to an 1855 treaty, the Makah had been granted whaling rights as consideration for giving up tribal land. Frustrated by public and governmental responses to the revival of Makah whaling in 1999, five "rogue"; Makah whalers killed a second gray whale on September 9, 2007 but they were denounced by the Makah Tribal Council for acting without the approval of the Makah Whaling Commission. Coté concludes Spirits of our Ancestors by recalling her attendance at a World Council of Whalers meeting for indigenous peoples in 1996, initiated by Nuu-chah-nulth chief Tom Mexsis Happynook, at which all participants received a cookbook from the owner of a whale cuisine restaurant in Osaka, Japan. "I laughed when I received the book,"; Coté writes, "thinking how funny it was to receive a book about how to cook whale meat. At that time, I never thought that I would have the chance to eat whale, or that I would ever witness a hunt by my people. "Now, after my Makah relatives successfully harvested a whale, I am optimistic that I will witness a Nuu-chah-nulth hunt. I now cherish this book that sits on my bookshelf with all my other cookbooks, and I look forward to the day that I can try out Mrs. Ohnishi's recipes. Spirits of our Whaling Ancestors: Revitalizing Makah & Nuu-chah-nulth Traditions. 288 pp., 22 illus., 3 maps, notes, bibliog., index, 7 x 10 in. Following the removal of the gray whale from the Endangered Species list in 1994, the Makah tribe of northwest Washington State announced that they would revive their whale hunts; their relatives, the Nuu-chah-nulth Nation of British Columbia, shortly followed suit. Neither tribe had exercised their right to whale-in the case of the Makah, a right affirmed in their 1855 treaty with the federal government-since the gray whale had been hunted nearly to extinction by commercial whalers in the 1920s. The Makah whale hunt of 1999 was an event of international significance, connected to the worldwide struggle for aboriginal sovereignty and to the broader discourses of environmental sustainability, treaty rights, human rights, and animal rights. It was met with enthusiastic support and vehement opposition. As a member of the Nuu-chah-nulth Nation, Charlotte Coté offers a valuable perspective on the issues surrounding indigenous whaling, past and present in her new book Spirits of our Whaling Ancestors: Revitalizing Makah & Nuu-chah-nulth Traditions. Whaling served important social, economic, and ritual functions that have been at the core of Makah and Nuu-chah-nulth societies throughout their histories. Her analysis includes major Native studies and contemporary Native rights issues, and addresses environmentalism, animal rights activism, anti-treaty conservatism, and the public's expectations about what it means to be "Indian. "; These thoughtful critiques are intertwined with the author's personal reflections, family stories, and information from indigenous, anthropological, and historical sources to provide a bridge between cultures. Charlotte Coté is associate professor of American Indian studies at the University of Washington. She has been teaching in AIS since 2001. Dr. Cote received tenure in the fall of 2008 and will be promoted to Associate Professor in September, 2009. Dr. Cote' has a B. A. in Political Science from Simon Fraser University in British Columbia and an M. A. and Ph.D. in Comparative Ethnic Studies from the University of California at Berkeley. She also has a Degree in Broadcast Communications from the British Columbia Institute of Technology. Dr. Cote's research examines issues around Native governance, politics, law, and sovereignty in the United States and Canada. She has published numerous articles that cover issues such as traditional Indian law and justice systems, the Makah and Nuu-chah-nulth whaling tradition and the northwest coast Guardian Spirit Complex. Dr. Cote' serves as Chair of the "House of Knowledge" Project Advisory Committee (HOKPAC), which is a project coordinated by Dr. Cote' and other Native American faculty, staff and students, to build a longhouse-style facility on the UW's Seattle campus. She also serves on the UW's Graduate Opportunities & Minority Achievement Program (GO-MAP) board. Dr. Cote' is also very active in the surrounding Native community. She is a member of the Potlatch Fund Foundation Board and have served in an advisory capacity to the United Indians of All Tribes Foundation and the Northwest Folklife Festival Cultural Committee. As well, Dr. Cote' is an executive member of the Seattle Art Museum Native Arts Council. Dr. Cote' has taught: AIS 270 - Indians in the Pacific Northwest, AIS 335 - American Indians and the Law, AIS 431 - History of Indian Education, AIS 441 - Gender in Native American Societies, AIS 461 - First Nations Government and Politics in Canada, AIS 465 - First Nations Filmmaking in Canada. She also teaches a graduate course that examines Indian sovereignty and public policy issues.